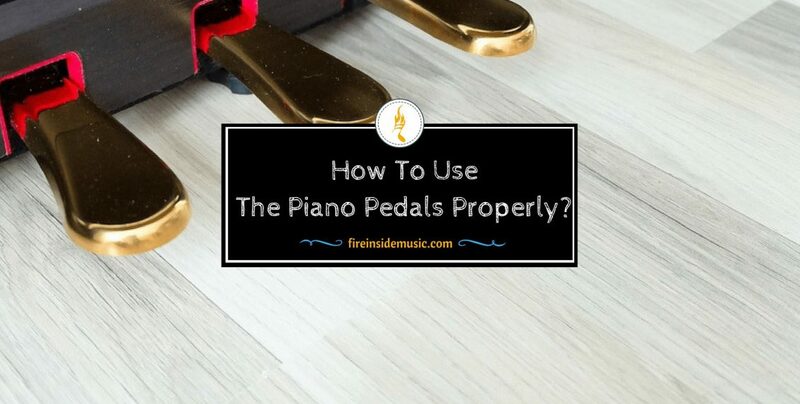 How To Use The Piano Pedals Properly? 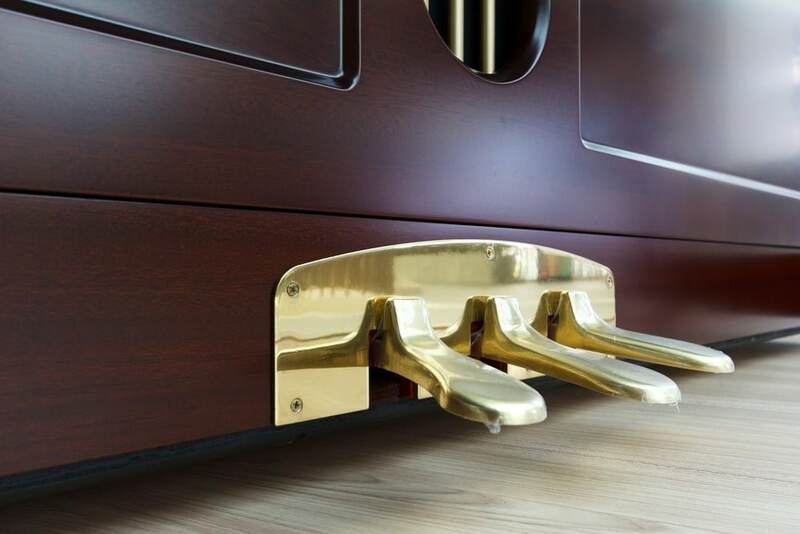 If you’ve ever seen a piano, you must have wondered what those pedals are for. The thing is: those pedals are very important for piano playing, and it’s practically impossible to play properly without using them. It isn’t too complicated, but there are some theoretical points you should bear in mind before you start. 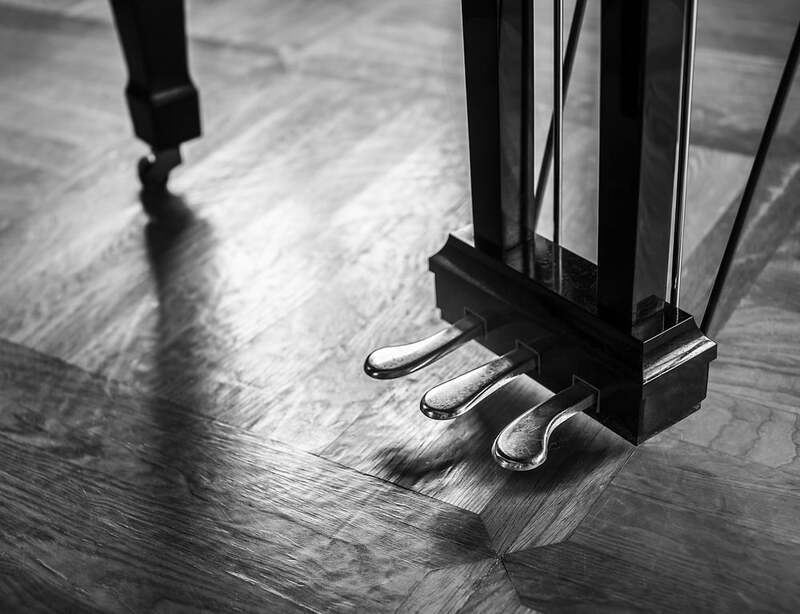 In this article, you will learn what the piano pedals do, including advice on how to use them properly and improve your playing. Let’s begin! 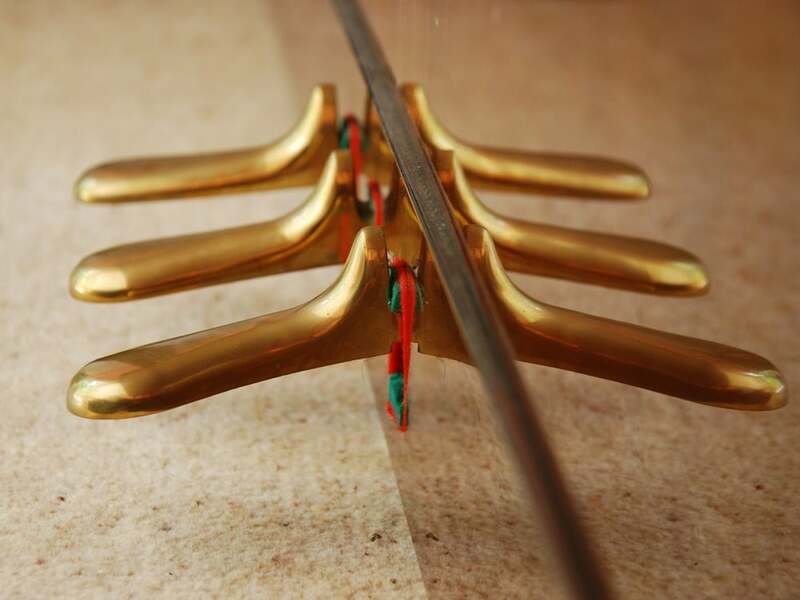 When it comes to piano pedals, the most important thing to know is that – timing is everything. Before you start learning the technique, know that it’s all about pressing and depressing the pedals at the right moment. This is similar to driving a car, or a four-wheel vehicle. You really have to know how to use and control the pedals in order to drive properly. Controlling the pedals means – controlling the vehicle. Well, it’s basically the same with the piano. Imagine that the keyboard is the steering wheel, and that the pedals are the brake and gas foot controls. If you accept and understand this principle, everything from then on will be much easier. And don’t even think about the possibility of playing the piano without using the pedals. In principle, it is possible, yes, but it will never be considered proper piano playing. It’s like playing the drums with only one drumstick, or playing the guitar by only applying downward strokes. The sooner you dismiss the whole idea, the sooner you will learn how to use piano pedals and play properly. More experienced pianists don’t even think about how they are using the pedals – they simply do it unconsciously. However, it should be noted here that this is indeed possible, but only after hours and hours of practice. If the use of piano pedals is blended with playing the notes on the keyboard, then you can really call yourself a piano player. The pedals on the piano are used to improve upon the sound produced. By using them, you actually enhance the sound you get from pressing the keys, because you “prolong” the life of a certain note, or chord, and you give them that extra timbre. Now, it’s very important to note here that the piano is the only instrument (with the exception of percussions and percussion instruments) where a player controls the sound – after it’s produced. This fact alone makes all the difference between using piano pedals and not using them at all. 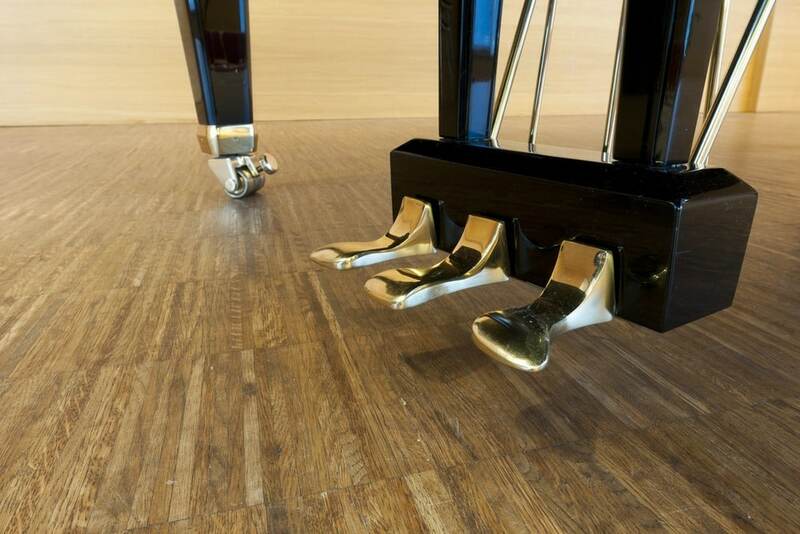 In this sense, using piano pedals becomes an essential part of your playing, since it’s integrated in the whole playing process. Since the playing process has been mentioned, you should also learn about the concept of key attack. Key attack is a term used for the technique you apply to a certain composition, or a sequence of notes, and it’s directly connected with the use of pedals. A different key attack automatically implies a different way of applying piano pedals. For example, if you want to play a certain sequence in a fast, “choppy” way, then you most likely wouldn’t want to sustain the notes, or make them softer. Automatically, you won’t use the pedals for this purpose. On the other hand, if you play a ballad in a gentle way, then you would want to make the notes as soft as possible, and this is where the pedals can help you a lot. Basically, all pianos have two pedals on them. There is also a third pedal, or the so-called middle pedal, but only on the American grand piano. European pianos generally have two pedals. Let’s first focus on the European piano and its pedals. The left pedal is also known as the soft pedal or the una corda pedal. You play it with the left foot. The soft pedal, as its name suggests, makes the sound much softer, and enhances the timber of notes by increasing their volume. This pedal works by shifting the strings in such a way that the piano hammers can only hit one or two strings at a time. In turn, this softens the sound, as less pressure is applied. The right pedal is called the sustain pedal. It’s also knows under the name of damper pedal, or forte (loud) pedal. It prolongs the sound of a played note, even after you release the keys and stop applying any pressure on them; this happens because the piano dampers are lifted from the strings, which allows them to vibrate as long as the pedal is pressed down. This pedal also makes a warmer, livelier timber of sound, by creating the so-called legato effect, where the notes overlap and echo. The middle pedal, also known as the sostenuto, is found only on grand pianos, and not upright ones. It’s interesting because of the fact that it enables you to sustain the sound on certain notes you play – without affecting all of them. When you play a note, or a group of notes, you can press the middle pedal and keep on playing other notes without any changes applying to them. This happens because the only certain dampers are raised. Basically, sostenuto actually comes from Italian, and it literally means “sustained”, but since we already have the sustain pedal, it may not be the best term for this pedal. It does sustain notes, but only certain notes – not all of them. The reason why this pedal is not present on all pianos is quite simple – it’s not all that necessary. Yes, you can put it to good use, but only for certain compositions of certain composers, such as Ravel or Debussy. Nevertheless, the compositions where the middle pedal is used can be played by using the soft and sustain pedal, without any difference. It’s all about mastering the palying technique. 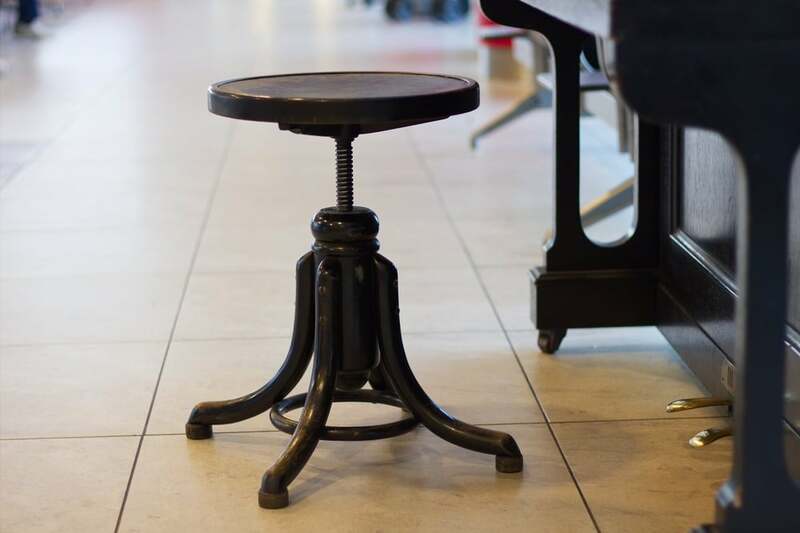 Many pianos have a middle pedal, but it’s not the one we talk about here. There are so-called locking pedals or silent pedals, so don’t assume that every middle pedal is the sostenuto. Also, on some pianos, the sostenuto only affects the bass notes, and not all of them. Before you start playing, the key thing is to sit properly. Make sure that you’re not too far from the piano, or too close. Your feet should stand flat on the floor, and you should be able to press the pedals without moving too much in your seat. The better your posture is, the easier you will play. Also, your feet shouldn’t be placed at an angle; place them right in front of each pedal, so that they are parallel to one another. This is very important because, once you start playing - you won’t have time to look and your feet and adjust accordingly. Remember, it’s like driving a car. Let’s go through the basic steps of using the pedals. Your left foot plays the soft pedal and your right foot plays the sustain pedal. There can be no mixing of the two; first of all, it’s physically demanding. Secondly, it will only distract you from playing the keyboard. Practice pressing the pedals. Don’t play any notes; just focus on pressing, but try not to look at them. This will loosen you up and help you get the feel of the pedals. When pressing the pedals, be sure to keep your heels on the floor. This will help you control your feet and, in turn, control the use of pedals. Start playing chords and notes while pressing the pedals. Get familiar with the changes in sound as your press each pedal. Practice playing on half-pedal. As the name suggest, you should play by pressing a pedal only half-way down, to note the difference in sound. There is also quarter-pedal playing, but it’s used by the most proficient pianists. The idea here is to press a pedal for a quarter of its pressing range. Don’t lean toward the piano too much. It’s quite normal to move a little bit while playing, especially when you play dynamic pieces with many changes. However, leaning too much, or moving around too much, can only distract you and take away your playing energy. Don’t make any sudden movements while pressing; don’t make any unnecessary movements as well. The point is to press a pedal with precision and efficiency. Don’t press the entire pedal with your foot; you only need to press the larger part of it. Don’t learn the pedaling at a later stage. You should learn how to use the pedals while you learn other playing elements. If you leave it for later, you won’t be able to make good progress, as it will hinder you. Many piano teachers have stressed the importance of “theoretical” approach to pedaling. This means that you should first learn the theory behind it before you actually start playing. Remember, you won’t be able to use the pedals properly unless you learn how to use the “air pedal”, meaning – playing without a pedal. Obviously, this is not so easy, especially if you’re a beginner. But consider it a training session. This is why you should employ different kinds of exercises for proper pedaling. First of all, it’s important that your feet are relaxed, as this will have a major effect on your playing. You can practice by raising the ball of each foot for a couple of centimeters, and then pressing upon the floor slightly. Don’t do this simultaneously; first move one foot, and then the other. Repeat this movement at least a dozen times for each foot. If you feel a little bit of pressure, that’s alright, but if your feet “hurt” – then you have a problem. The feet should be completely relaxed and loosened up, otherwise – you’ll have a lot of problems while playing. You might even develop cramps in your feet. So, make sure that your feet are completely relaxed and only then move on to simulate the pedaling. Do this for a couple of days, and if you don’t feel any pain in your feet, you’re ready to move on. Remember, your playing ability will be determined by your feet-hand coordination. Without this, you will be lost. How you play will ultimately be determined by how you listen to yourself while playing. This means that the ultimate “judge” for the use of piano pedals will be your own ear for music! If you’re playing a certain musical piece, or you’re composing by yourself, you have to know exactly what you want to achieve. In turn, this will help you apply proper pedaling and make sure that it’s “accurate” to the specific moment. This is usually explained by the terms clean pedal and dirty pedal. Clean pedal refers to accurate, precise changes in pedaling – according to the musical piece. Dirt pedal is the exact opposite of that: connecting two or more notes with the same pedaling technique, without giving them enough “breathing room”. Also, don’t consider pedaling as something different than playing the keys, or something more important than it. Pedaling is simply an extension of playing the keys – an integral part of piano playing. Piano pedals definitely require some time to be mastered and integrated into piano playing, especially among novices. The main reason for this is coordination, but it’s not that hard to master. There are instruments which are much more difficult to master in terms of coordination, such as the drums. As far as the piano is concerned, the pedals can be mastered in a reasonable amount of time. 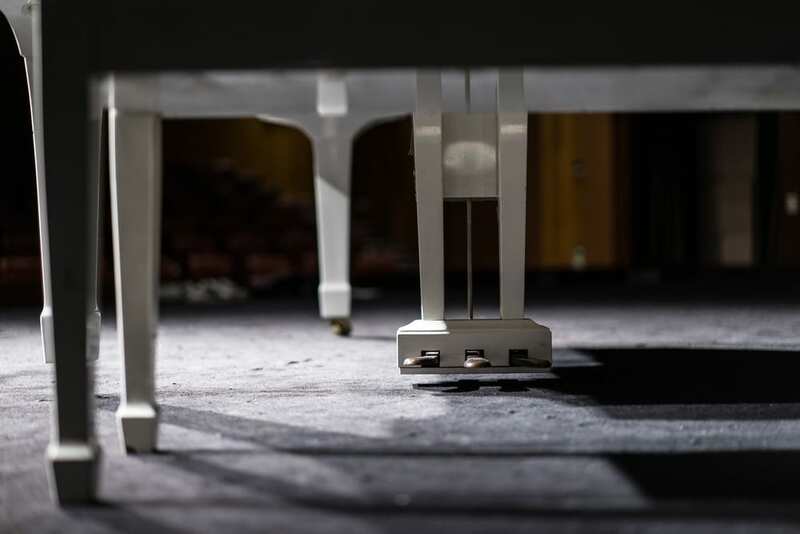 Although many people think that piano pedals are not that important, they have the key role in creating sound on the piano and a major effect on the composition as a whole.